Devastated, Jack went on a fifteen-month alcoholic spiral into near oblivion before eventually working past his demons to become a best-selling crime novelist. 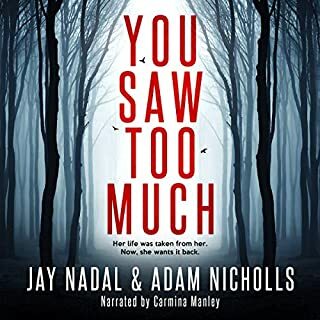 But just as Jack is finishing his fourth book about a vicious serial killer, the LAPD interrupts his quiet routine with news of what appears to be a copycat murder from his first book. There's just one problem - the murder took place before Jack's book was published. Jack winds up on the run, a fugitive haunted by his past and hunted by the very cops and FBI agents he has befriended. Jack must use every resource he has to prevent the murder of a woman he knows will be next in his series of novels. He must piece together shattered memories from the fragments he recalls during his drunken fifteen-month blackout. Jack Rhodes is a best selling author in a series about a ruthless killer. As a connection is exposed between real life murders and Jack's fictional ones, we have an important question to ponder. Had he actually researched his material first hand by participating in a few gruesome decapitations before putting pen to paper? Or ... is our killer someone else. Jack Rhodes certainly looks guilty to either the reader or his contemporaries at different times as two narratives develop. One story is in the present and talks about Jack's tragic loss of the love of his life. This is followed by a drunken blacked out mourning period of several months and then redemption when Jack stays sober by pouring his energies into writing. Was his spine chilling descriptions of murders that vaunted him unto the bestseller lists a repressed memory from his blacked out period, or from a split personality? That question arises after some real life murders are discovered with details that closely resemble Jack's books. Jack Rhodes must deal with recalling lost memories as he is pursued by the law. The other story is about an unfortunate twisted childhood that sounds like it is going to end up with a psychopathic killer. Narrator Noah Micael Levine does an excellent job of weaving these two story-lines to an epic confrontation. Getting the next Jack Rhodes book is now definitely on my to do list. Unfortunately, the author still has publishing the next book on his to do list. Early on I didn't know if I was going to be following a serial killer who was an author or an author who wrote about serial killers. If you don't read too many reviews that give away too much - that will be uppermost on your mind as well as you sit back and start up a smart, well put together story. (let's hope some surveillance person had to read this whole review to realize I'm not serious about killing) Really I was only joking --- please take me off your watch list! Very well done for the murder/thriller genre with a good flawed anti-hero. His backstory is nicely complex and realistically portrayed. I really liked that our hero is a writer and not a superhero or a McGiver. I'm not sure how I feel about the first-person narrative which I found it a bit disconcerting. There seemed to be no real reason for it---no memoirs nor anyone telling the story to another. But other than that, the writing was top-notched and Mr. Levine's narration was excellent with lots of emotional qualities, including a really well-done drunk/drugged scene. Lots of good supporting characters including the usual police detective who thinks our hero is guilty. Very imaginative plot with excellent twists and turns that kept me guessing almost to the end, except there's a technique often used in films where the story continues even after the main plot is seemingly wrapped up. That's a dead giveaway that someone won't stay down. It's used here, but made the ending much more satisfying. A good book that was fun to listen to . I saw this book on a Audible special, the story sounded unique and kind of an "oh wow" kind of idea so I bought it. My wife and I listened to it on a recent road trip. It was a fun listen. 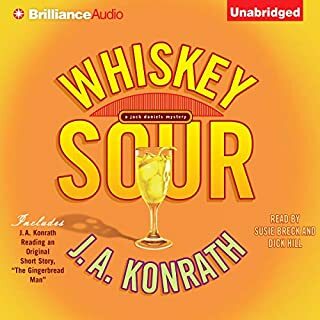 Noah Michael Levine was a good narrator and read the book with enough spirit to keep the story moving along as it was written. 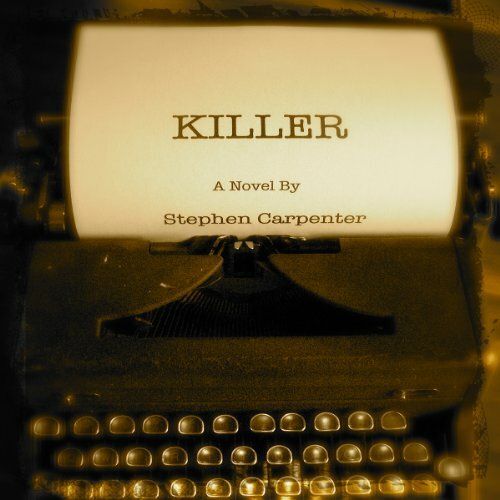 It did slow down toward the end, but over all it was good and has me looking for other books by Stephen Carpenter. What did you love best about Killer? All the twist and turns. Just when you have it all figure out it goes another way. 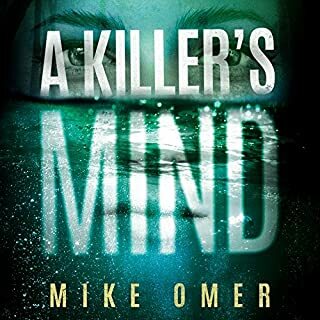 What other book might you compare Killer to and why? It reminds me of Stephen Kings books but this was a lot scarier from the very beginning. What does Noah Michael Levine bring to the story that you wouldn’t experience if you just read the book? His voice kept me thinking he was the main character talking to me telling me what happen to him. This may sound strange to you but it was the first paragraph that moved me right away. from start to finish this book was amazing! Which character – as performed by Noah Michael Levine – was your favorite? a gritty mystery from the man famous for Grimm! Where does Killer rank among all the audiobooks you’ve listened to so far? If you are a fan of mysteries this book can't be missed. It is dark and twisted with a completely imperfect hero. You will like this man, and sometimes you will dislike him too. He is tortured by his past, and wallows in his grief and anger instead of dealing with it. And the antagonist is evil, but you find yourself having empathy for him. I love that both characters are people you can see as authentic, and neither are completely good or bad. Yes. Although we basically knew who the murderer was very early in the story Mr Carpenter found a way to keep the suspense high and he didn't rush the climax or the wrap up of the story after the climax. Sometimes these parts of the story are rushed and leave me feeling sad that there wasn't more. But that didn't occur in this book. The book is dark and twisted. 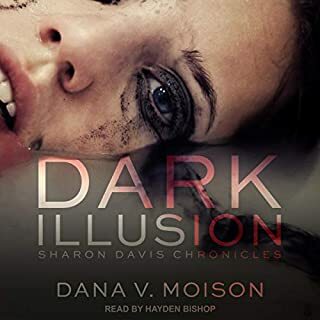 The characters are intriguing and I am anxious to see the second installment released on audible. What about Noah Michael Levine’s performance did you like? His use of distinct voices is top-notch. The story moved from one character's voice to another's quickly at times and Mr Levine made the transition easy with his voices. I hope he is currently recording book number 2. I enjoyed the storyline. Best finished as one reading. So curl up with a cup of coffee. Thank you Noah. The audiobook is so well done you had me at the edge of my seat and my heart racing at times. I'll look for more of your narrations. Do Not Miss Listening to This Who Done It? Jack Rhodes found his fiance dead from suicide in his back yard. Jack doesn't know why and goes on a 15 month alcoholic binge before he is able to realize the futility of what his life has become. Jack has always wanted to be a writer. He moves to Pasadena, Ca., gets a job as a dishwasher and starts to write his first novel. OMG he thinks, while taking stock of what has happened, the first book is a success. Jack leaves again, moving to Featherton, Vermont. He lives alone but isn't lonely. He continues to write and has come to the final book in the series. Jack will tell his readers who the serial killer is. 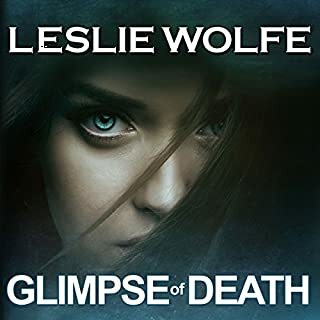 However, a body has been discovered buried in a shallow grave and her name is, Grace Beverly, the same character who died in a book he has already written. Who is the, Killer, the name of his final book in the series? The book, Killer, wasn't a long book and wasn't filled with pages of unnecessary information. 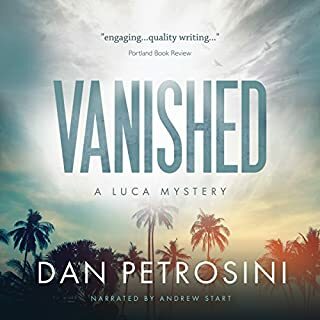 The mystery moved along and I found that I didn't have to move back and forth because the mystery continued smoothly and followed the plot without interruption. The narrator, Noah Michael Levine did an excellent job with the character's voices and emotions. A good narrator makes for a better listen. There's romance included but doesn't overtake the mystery. I don't think you'll make a mistake if you purchase this book. If you could sum up Killer in three words, what would they be? Really liked it....lots of twists and turns...if you liked "Silence of the Lambs" even just a little bit you will enjoy this read! Someone else wrote a review saying something like it was a breath of fresh air. It was a delightful tale and I cannot wait for the next one. This one was a killer! !